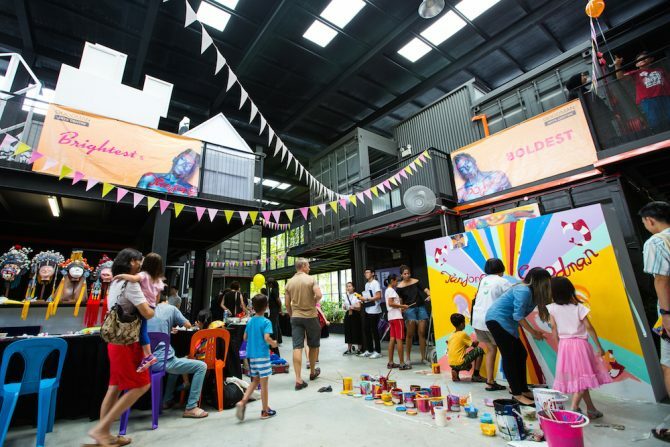 Go green and be arty this school holidays at Goodman Open House – Re:Imagined, a family-friendly arts festival that offers art lovers of all ages a creative day out to enjoy. The one-day festival and open house will happen on Saturday 26 May at the Goodman Arts Centre between 11am to 5pm, and take on the theme of re-imagining creative ways of art making in an environmentally sustainable fashion. A series of drop-in workshop sessions await festivalgoers, most of which are completely free! Try your hands at creating stunning patterns on pulp paper, pop by a DIY Acrylic & Mixed Media Painting Workshop, or simply pick up a brush and let your creative juices spill forth in mural painting session One Wall at a Time.